Why would I need self storage in Bonita Springs, FL? There are a variety of reasons why you might need self-storage in Bonita Springs, FL. How much is a storage unit in Bonita Springs, FL? The cheapest storage unit in Bonita Springs, FL is $19.00 per month. What size storage units do you have available in Bonita Springs, FL? In Bonita Springs, FL we have sizes that range from 4'x5' to 10'x30' to suit your storage needs. How much is it for a 4'x5' storage unit in Bonita Springs, FL? The cheapest 4'x5' storage unit in Bonita Springs, FL is $19.00 per month. The city of Bonita Springs is known for its small-town charm and diverse and growing population. This scenic Florida locale just north of Naples has become increasingly popular for visitors and residential transplants alike, offering multiple golfing communities, pristine beaches, ample recreational opportunities and picturesque barrier islands. Bonita Springs' roots date back to the 1870s, when government surveyors were in the area looking for a medicinal spring. Over the course of the next decade, homesteaders began to move in. By the early 1900s, the area was dubbed Bonita Springs, and its ever-growing appeal continued to attract visitors. With the development of the Interstate-75 corridor and the U.S. 41 Bypass, offices, shopping malls, restaurants and golf courses started cropping up, providing a range of amenities to accompany the growing population. The city grew exponentially from 1970 to the year 2000, from less than 2,000 residents to almost 44,000. The population of Bonita Springs has been on the rise for many years, with substantial growth due largely to its healthy economy. The city has an unemployment rate that's lower than the state average, and job growth has been steadily increasing. Another benefit you'll enjoy as a Bonita Springs resident is a fairly low sales tax rate and no personal income tax. Compared to the rest of the country, the cost of living in Bonita Springs is high, which is due in large part to its tourist impact. The weather tends to be humid, and like much of coastal Florida, there's always the risk of hurricanes and tropical storms. However, the city has a sunny and warm winter climate that continues to draw new residents each year. There are a number of local parks, outdoor facilities and beaches that provide ample opportunity for enjoying the area's tropical weather. Whether you're interested in water sports, experiencing the local flora and fauna, or relaxing on the beach, there are plenty of places in Bonita Springs to visit. Lover's Key State Park is one of the most famous natural attractions in the area, made up of four barrier islands just north of Bonita Beach. There are hiking and biking trails, extensive beaches, and a variety of native wildlife including dolphins, manatees and bald eagles. Bonita Springs schools are part of the School District of Lee County. Keep in mind that if you plan to enroll your child in a Bonita Springs public school, you'll need to bring proof of address to one of the district's Student Assignment Offices. Another option for K-5 students is the Bonita Springs Charter School, a tuition-free public charter school. Utilities: Bonita Springs Utilities manages residential water services. Florida Power & Light (FPL) is the city's electricity provider. Garbage and Recycling: Your trash, recyclables and yard waste will be collected on a regular basis, with your specific pick-up schedule determined by your location. Transportation: A network of bus routes and a Park-and-Ride trolley service is operated by LeeTrans. The transit agency also provides Passport, a door-to-door transportation service for disabled residents. Bonita Springs is largely a quiet residential area, but as a desirable oceanside paradise, it has a fairly high cost of living. Home prices have gone through some recent turbulence, but are predicted to continue increasing in the near future. You also have plenty of options for renting, including apartments and condominiums. Our lowest priced units in Bonita Springs, FL average $29.50 per month. 105 people have reserved units in Bonita Springs, FL in the past 30 days. 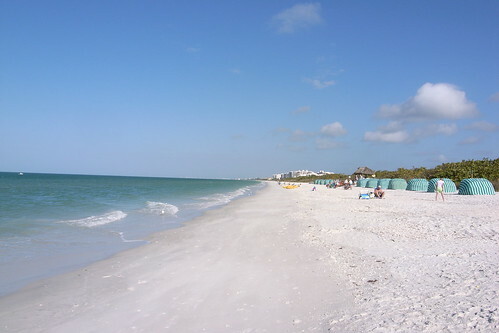 There are 2 locations within Bonita Springs, FL's city limits. There are 2 locations in Bonita Springs, FL that offer AC and Heating features.